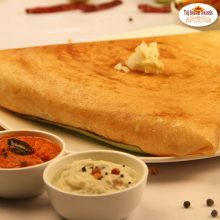 Cheese Dosa, which seems similar to a pancake from the Indian subcontinent, it is made from a fermented batter of rice and pulses. 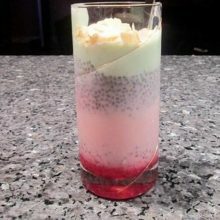 It resembles crepe in appearance. Its main constituents are rice and black gram. 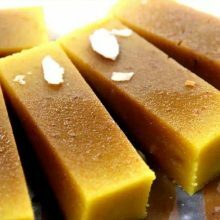 They are served hot along with sambar, a stuffing of potatoes, and chutney. Served in different varieties, the one which is mostly in demand is Cheese dosa in Australia. 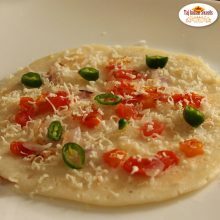 Cheese Uttapam is one of the popular dish of the South Indians that can be relished anytime during the day. 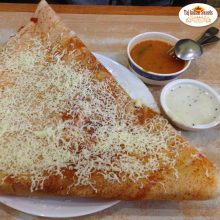 With a dosa like preparation, Best Cheese uttapam in Harris Park, Australia is served using various vegetables at Taj Indian sweets and Restaurant. 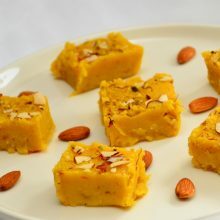 It’s a delicious mix of Italian as well as south Indian flavours and is loved by people of all ages. 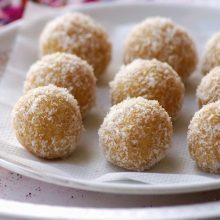 A traditional breakfast in most South Indian home and highly popular in restaurants across the country that is mostly craved is South Indian Idli Sambhar in Harris Park at Taj Indian sweets and Restaurant, Australia. 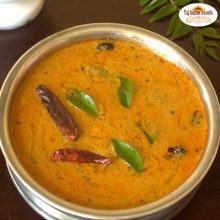 This south Indian cuisine is made up of a batter of fermented black lentils and rice. Generally eaten in breakfast or during snack time, idlis are served in pairs and along with chutney and sambhar. 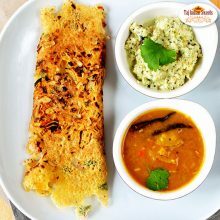 Jini dosa is a tempting, crispy, cheesy dosa with sour, spicy sweet taste along with the crunchiness of vegetables. The taste of cheese is amazingly felt in the dosa and goes very well with the vegetables. Jini Dosa is actually the Mumbai roadside vendor’s answer to Indian pizza. 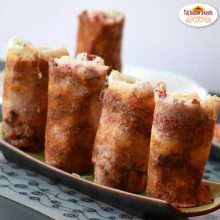 Jini Dosas in Harris park at Taj is cooked in butter are topped with succulent and spicy different vegetables, which is also cooked in butter and then topped with lots of cheese. Vegetable Uttapam is served for breakfast or as a snack at Taj Indian sweets and restaurant, Harris Park. 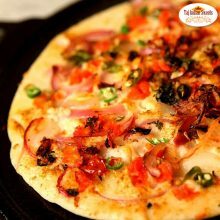 We make Uttapam with a variety of toppings like onion, tomato, coconut, and many others. Mix Vegetable Uttapams in Harris Park at Taj is topped with finely chopped vegetables. We also use similar vegetables like carrots, capsicum, onion, and cabbage. 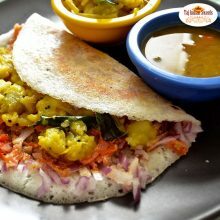 Onion Dosa are a typical South Indian food that consist of batter made from fermented rice and lentils, along with sides such as sambar (a tangy lentil soup with vegetables) and various kinds of chutney (coconut, tomato, tamarind, mint). When it comes to Dosas, think no further than Taj Indian Sweets and restaurant, Harris park. We feel pride to be called as Best Indian Restaurant in Australia, when it comes to bringing authentic South Indian food culture to Australia. 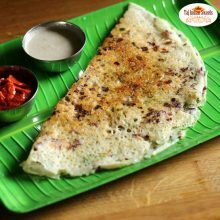 Onion Rava Masala dosa in Harris park are a typical South Indian food that consist of batter made from fermented rice and lentils, along with sides such as sambar (a tangy lentil soup with vegetables) and various kinds of chutney (coconut, tomato, tamarind, mint). 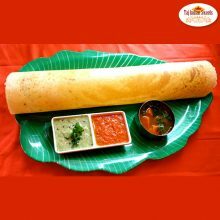 When it comes to Dosas, think no further than Taj Indian Sweets and restaurant, Harris park. We feel pride to be called as Best Indian Restaurant in Australia, when it comes to bringing authentic South Indian food culture to Australia. 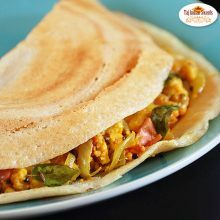 Dosa which seems similar to a pancake from the Indian subcontinent, it is made from a fermented batter of rice and pulses. It resembles crepe in appearance. Its main constituents are rice and black gram. They are served hot along with sambar, a stuffing of potatoes, and chutney. Served in different varieties, the one which is mostly in demand is Tasty Paneer dosa in Harris Park, Australia. 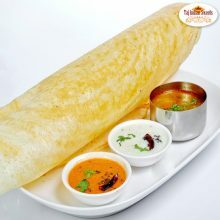 Paper dosa which is a very thin (paper thin) and super-crunchy form of dosa which is prepared without any masala filling is served best at Taj Indian sweets and restaurant, Australia. 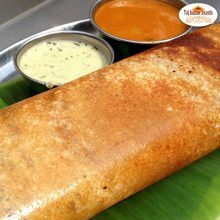 Paper Masala Dosa in Harris park is one of the most popular breakfast recipes in restaurants, paper dosa is generally eaten plain with sambar or stuffed with spiced potato curry. 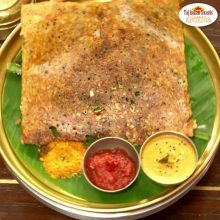 Rava Masala dosa or masala dosa is a variation of the popular South Indian food dosa. Its main constituents are rice and black gram. 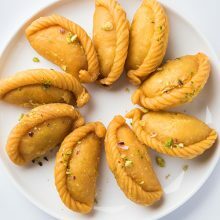 They are served hot along with sambar, a stuffing of potatoes and chutney. 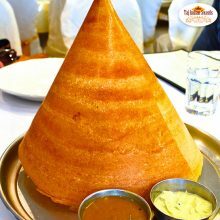 Served in different varieties, the one which is mostly in demand is rava masala dosa in Harris Park, Australia.